Sidney Reilly, the Real-Life James Bond? By Kristin Masters. Mar 23, 2014. 9:00 AM. By the time Ian Fleming sat down at his typewriter to begin work on Casino Royale in 1952, he'd already had an illustrious career as a commander of Great Britain's Secret Intelligence Service. Responsible for the famous "trout" memo (so named for its fly fishing metaphor), Fleming distinguished himself as a cunning and thoughtful intelligence officer. Though Fleming certainly drew from his own experiences to create James Bond, he also had another inspiration: Sidney Reilly. The Russian-born spy proved an indomitable agent whose charismatic personality, fearless execution, and hedonistic lifestyle are reflected in Fleming's 007. The precise details of Reilly's birth are unknown; a pathological liar, Reilly could hardly trusted to give an accurate account of his own life. Moreover, the British government likely altered the facts to protect Reilly's identity. But the majority of official documents list Reilly's birthdate as March 24, 1874 in Odessa, Ukraine. His given name was Sigmund Georgievich Rosenblum. 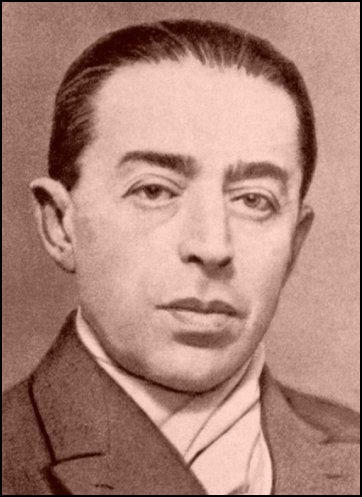 His father, Grigory, was a wealthy Jewish contractor, while his mother, Paulina, was an accomplished pianist. 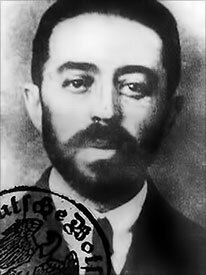 Reilly would later claim that he was forced to flee Russia because he was involved in a political plot--not impossible, since his family was actively involved in the Jewish emancipation movement.. It's reported that he faked his own death and reappeared in Brazil as Pedro. Reilly used to tell people that he'd worked as a cook for a party of English explorers. When the party was attacked by cannibals, Reilly saved the day. The leader of the party, he said, awarded him $1,500 and a British passport. What's more likely is another account: Reilly made his way to Britain after robbing a pair of French couriers with a Russian accomplice. Either way, it's clear that Reilly was already a wily character with a Machiavellian outlook on life. By the mid-1890's, Reilly had made his way to Paris. He didn't stay long, heading to London. Reilly established Rosenblum & Company, where he sold patent medicines. The business was quite successful, but Reilly had expensive tastes and habits. He needed another means to support his lavish lifestyle. Reilly became an informer, collecting intelligence on political exiles, crimimals, and other "people of interest" under the direction of Detective Chief Inspector William Melville. Reilly was paid quite well for the work--and for keeping quiet about the indiscretions he observed among the officers of Scotland Yard. Then in 1897, Reilly managed a payday of an entirely different sort. He met Margaret Thomas, the 24-year-old wife of Reverend Hugh Thomas. The 63-year-old reverend suffered from Bright's disease, and Reilly personally prescribed his medication. He frequently made house calls, and soon he and Margaret had begun an affair. Shortly thereafter, Thomas died of heart failure. Because of his preexisting condition, the police didn't look much further into the matter. But the symptoms of arsenic poisoning are quite similar to those of Bright's disease, and it's likely that Reilly actually murdered Thomas. He and Margaret married in August 1898, giving Reilly access to his new wife's considerable inheritance. The happy couple traveled abroad for a time before settling in Port Arthur, Manchuria. Reilly joined the import-export business of Moisel Ginsberg just before the outbreak of the Russo-Japanese War. Both sides wanted Port Arthur. It's rumored that Ginsberg and Reilly played both sides, and they developed reputations as spies, even though there's no proof they committed espionage for either country. Meanwhile, Reilly forged connections with a number of officials who would in instrumental in later spying missions for the British government. In February 1904, the Japanese attacked the British fleet in Port Arthur. Reilly promptly fled to Paris and arranged a rendezvous with Melville, who was now the chief of special operations for the War Office Intelligence Division. Melville, whose code name was "M," was responsible for gathering very sensitive intelligence, and he needed to recruit others to go abroad and obtain information. He believed Reilly an ideal candidate. Reilly's first task was to convince William Knox D'arcy to keep his allowance to mine oil in Iran. Reilly assumed the guise of a priest and met with D'arcy. He convinced the magnate to keep his allowance under British control, which led to the formation of the Anglo-Persian Oil Company. Although Reilly's career was taking off, his domesic life was falling apart because of his constant infidelity. Margaret finally returned to England alone--with considerably less money than she'd started with. The company never officially divorced, but that didn't stop Reilly from marrying a few more times. At some point, Reilly also spent time in school in England, first taking a course in electrical engineering at the Royal School of Mines, and then taking courses at Trinity College, Cambridge. Though there's no evidence that Reilly ever earned a degree, he frequently lied about his education. Sometimes he told people that he'd studied chemistry in Vienna. Other times he was more audacious, claiming a PhD from Heidelburg. Many experts believe that Reilly's lies went beyond pathological, and that he suffered from delusions of grandeur. There were many instances where it was evident that Reilly had convinced himself that his own lies were true. While this wouldn't ordinarily be considered a talent, it certainly came in handy in Reilly's line of work. In 1914, Germany was planning a major campaign against Russia. Reilly acted as a broker between the Russian army and American arms manufacturers. He made massive commissions on each sale and made more valuable connections. The following year, Reilly married his lover Nadine Zalessky. The 29-year-old, considered a great intellect and beauty, was also closely tied to prominent Russian officials. Again he'd made a calculated match. By this time, Reilly had also popped up on the FBI's radar. They investigated him thoroughly but found no incriminating evidence. The couple moved from New York City to Toronto in 1917, and Reilly enlisted in the Royal Flying Corps (RFC). He insisted that he'd felt compelled to support the war effort. Assigned to a post in England, Reilly soon found himself under intense scrutiny from the SIS. They decided he was an ideal person to collect intelligence in Russia. The Bolshevik Party had just taken over, and the Allies feared they would seek an alliance with Germany. Reilly, code name "ST1," was under the command of Captain Mansfield Cummings, AKA "C." Cummings gave Reilly explicit instructions--which Reilly ignored on the very first day of his mission. The agent passed a few days in the brig of the HMS Glory before convincing the commander that he was indeed British intelligence by giving him a coded message that could only come from SIS. That experience didn't stop Reilly's insubordination. That May, in Moscow, Reilly almost ended his career forever. He presented himself at the Kremlin, saying that he was a British emissary sent by Prime Minister David Lloyd George to discuss Lenin's aims for Bolshevik Russia. Though he didn't get to see Lenin, he was granted an audience with Lenin's aide, Vladimir Bruevich--who, naturally, provided no useful information. When his commanding officers questioned him about the incident later, Reilly would not admit to anything, except that he'd been on the Kremin on the day they asked about. Shortly thereafter, Reilly was connected with the head of the British mission in Moscow, Sir Robert Bruce Lockhart. The pair hatched a complicated plot, now known as "the Lockhart Plot," to intercept Lenin and Trotsky at the Bolshei Theatre in Moscow on September 6, 1918. It's not clear whether Lockhart and Reilly intended to assassinate the men or hand them over to allied forces (or whether they had the blessing of the British government). But an informer foiled their plot. They were convicted in absentia of attempting to assassinate Lenin and sentenced to death. They barely made it out of Russia with their lives. Back in London by November 1918, Reilly asked Cummings for permission to go on another mission, to gather information about the Black Sea coast and South Russia. Cummings gave him permission, so Reilly set of for Russia with an assistant, Captain George Hill. In January 1919, Reilly was awarded Great Britain's Military Cross for exceptional service. Several months later, Reilly returned to New York City to be reunited with Nadine. The long separation had changed their relationship, and they amicably filed for divorce. Throughout the whole process, Reilly managed to hide the fact that they'd never been legally married in the first place. The record above was found in the British Army World War I Medal Rolls Index Cards. 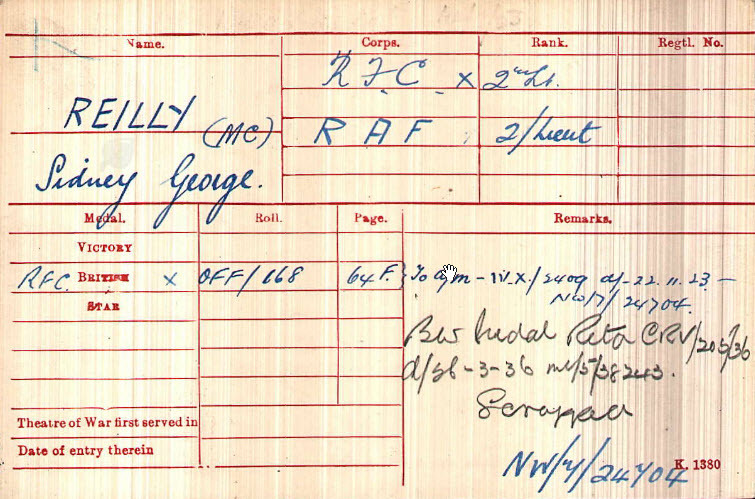 It shows that Reilly received his Military Cross for service in the RFC. It didn't take long for Reilly to meet Caryll Houselander--or to embark on a new mission. This time, Reilly headed to Poland to investigate a potential truce between Poland and Russia. While he was there, Reilly met revolutionary and anti-Bolshevik assassin Boris Savinkov. They wanted to overthrow the Bolsheviks and began plotting together. For Reilly, the mission was personal because he hated the communist ideology. He invested a great sum of his own money, along with that of fellow SIS officers and private backers, into the endeaver. Ultimately he ran out of money, and the SIS ran out of patience. In 1922, the SIS cut off all ties with Reilly. Reilly moved to Prague and opened up a new patent medicine business. But it quickly failed, as did his relationship with Caryll. In December 1922, Reilly met the beautiful South American Pepita. The two were engaged after only a week and married in May 1923. They were together two years before Reilly disappeared permanently. The OGPU, a Soviet military intelligence agency that was a forerunner to the KGB, established the "Trust" as a means to lure political dissidents back into Russia. They posed as an anti-Bolshevik group, and they were particularly interested in capturing Reilly and his former co-conspirator Savinkov. In January 1924, they failed at their first attempt to kidnap Reilly, but they managed to get Savinkov. In autumn of the following year, they succeeded in convincing Reilly to return to Russia. As soon as they crossed the border, Reilly was placed under arrest. He was sent to the same prison where Savinkov was being held. 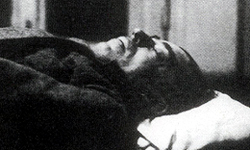 Stalin personally sentenced Reilly to death. On November 5, 1925, Reilly was driven to the Sokoliniki district for exercise, which was one of his special privileges. But the car stopped, ostensibly so the driver could fix a mechanical problem. Reilly was allowed to get out and stretch his legs. He made it about thirty paces from the car before he was shot. The Russian government examined and photographed his body before burying him in a pit at the prison. Though the British government knew that Reilly had likely been killed, they had found no evidence of his execution. Even when the Russians released photographs of the body, British authorities were skeptical. It wasn't until years later that the photographs' authenticity was accepted. Reilly left behind an incredible legacy that weaves together both fact and fiction. His spirit of adventure and intrigue survives on the pages of Ian Fleming's beloved James Bond books.